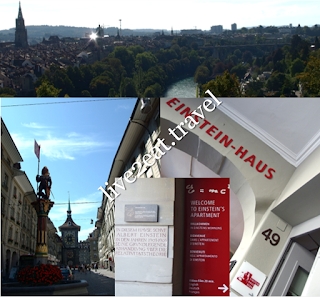 Visit Bern (or Berne in French), the capital of Swiss Confederation. The gateway to the Alps, it is also the seat of Switzerland's government. Its beautifully-preserved medieval old town is a UNESCO World Heritage Site with many 16th-century fountains. Walk on the cobbled streets and visit where Albert Einstein wrote his Theory of Relativity in 1905, on the 3rd floor of Kramgasse 49. Other places of interest include the gothic Cathedral of Bern or Berner Münster – Switzerland's largest religious building, the House of Parliament and Zytglogge tower with its ornate astronomical clock. Okay, I am going to cheat on this by choosing more than one. 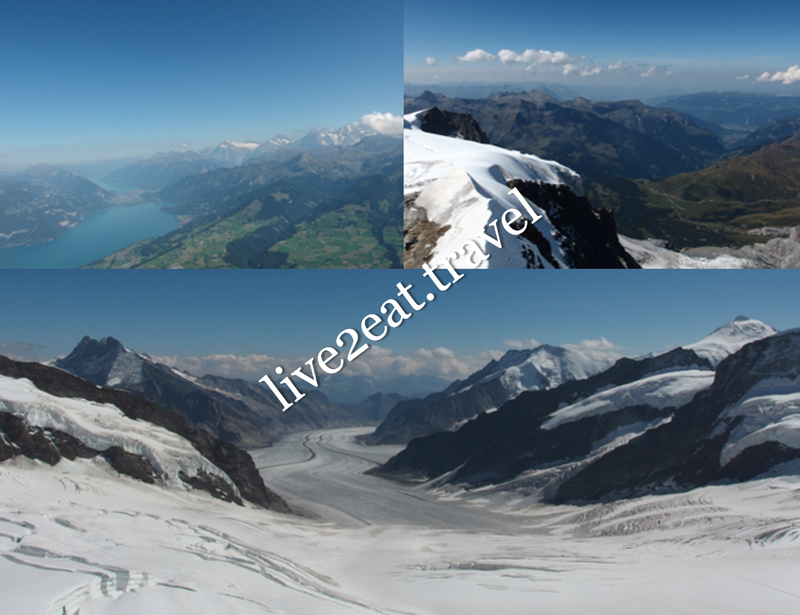 If you are in Interlaken, visit Jungfrau – the top of Europe at 3,571m above sea level. Make your way (take the train or drive) to Lauterbrunnen or Grindelwald, and take the cogwheel train to Klein Scheidegg. Change from the Wengernalp Railway to the Jungfrau Railway that ends at Jungfraujoch, the highest train station in Europe at 3,454m above sea level. But if you prefer to venture where the locals go, then visit Mount Niesen. Or better still, visit both if time permits. Or if Lucerne is more convenient for you, visit Mount Pilatus. 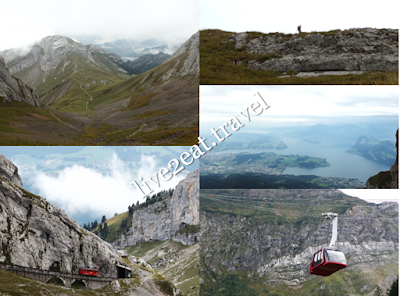 While I enjoyed the revolving cable car ride up Mount Titlis (3,238m above sea level) and taking the glacier chairlift to Titlis Glacier Park for snow activities during my first trip to Switzerland a few years ago, preferred Mount Pilatus for its hiking trails that brought me close to nature. At 2,128m above sea level, it is nearer to Lucerne city. Took the cogwheel train, the world's steepest railway at 48% ascent, up from Alpnachstad. And the aerial cableway and panorama gondolas down to Kriens. Reverse the order if you prefer and add a ride – by boat, bus, car and/or train, to complete the journey to and from Lucerne city. Visit St. Gallen, the Abbey precinct with the Baroque cathedral and Abbey Library. Stiftsbibliothek is Switzerland's oldest library with 170,000 documents, some of which are hand-written and more than a thousand years old. One of the oldest surviving libraries in the world, it houses one of the oldest collections in Europe. Before entering the magnificent library with elaborate artwork, we left our bags in the locker and changed into the felt slippers provided to protect its wooden floor. Photography is not allowed inside so just enjoy your visit, be in the moment and appreciate the silence. 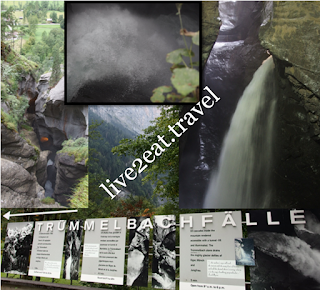 Visit Trümmelbach-Fälle, Europe's largest subterranean waterfalls and only glacier-waterfalls located inside the mountain that is accessible. It alone drains the meltwater of the glaciers from Eiger, Mönch and Jungfrau at up to 20,000 litres of water per second, carrying more than 20,000 tons of boulder and scree per year (that explains the thundering noise as the entire mountain shudders). Its drainage area is 24km2, half of which is covered by snow and glaciers. However, glacier water can be fatal especially to infants and Trümmelbach Falls is out of bounds to children under the age of four. Do not lean over any railings and walk carefully on tunnels, paths and platforms that may be slippery. You may also be interested in Where to Stay in Switzerland and Where to Eat in Switzerland.